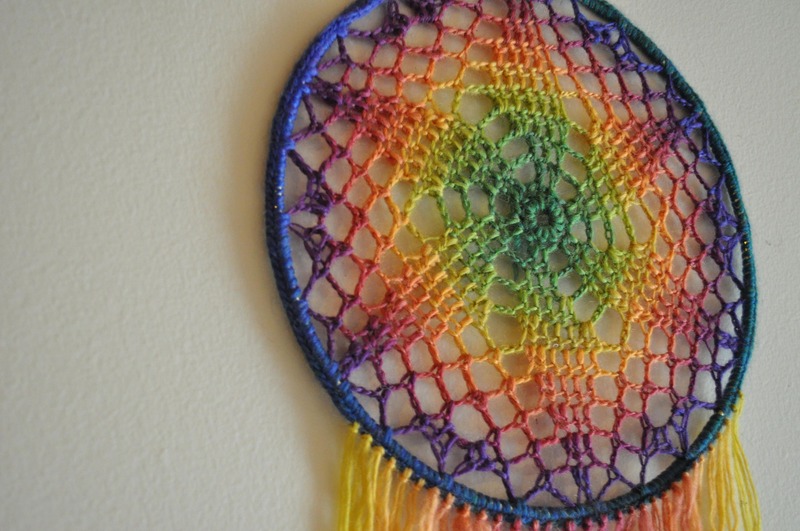 These dreamcatchers are the perfect addition to any wall! 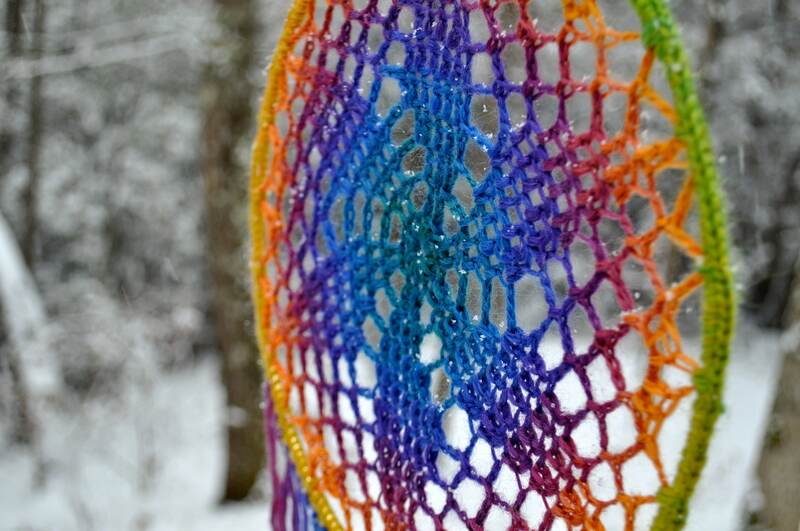 This is a quick, fun and easy project that is perfect for anyone with basic crocheting knowledge. 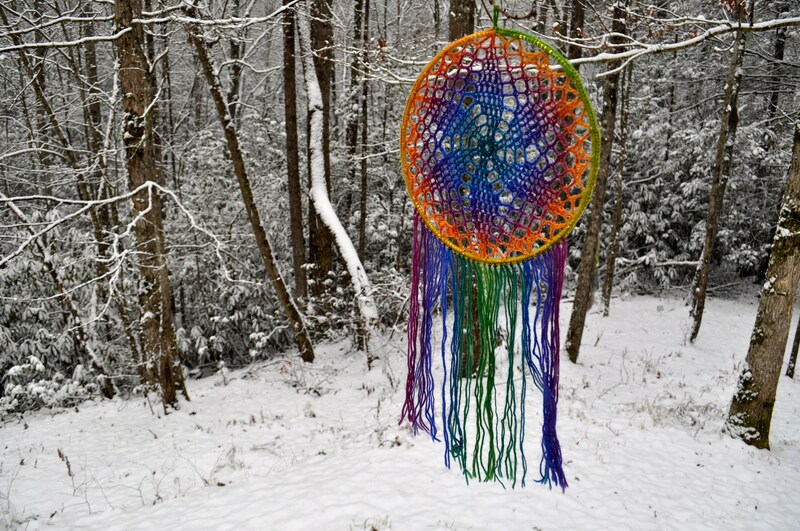 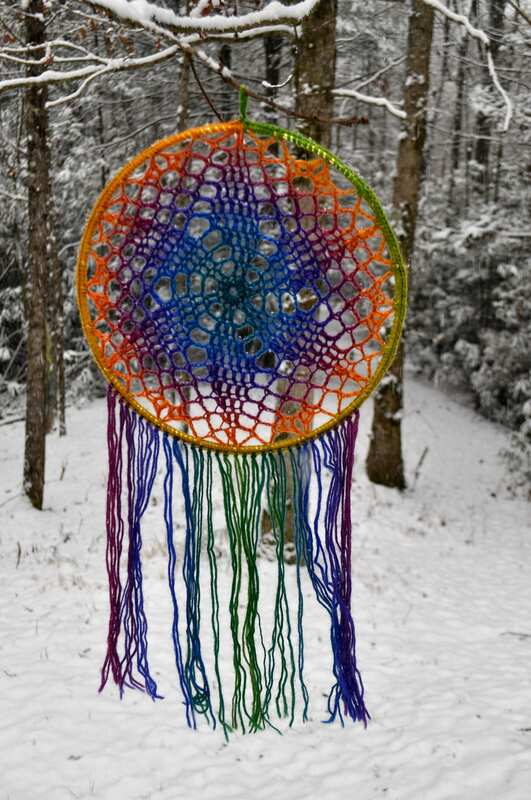 The dreamcatcher can easily be made larger or smaller by using a larger hook, yarn, and hoop size. 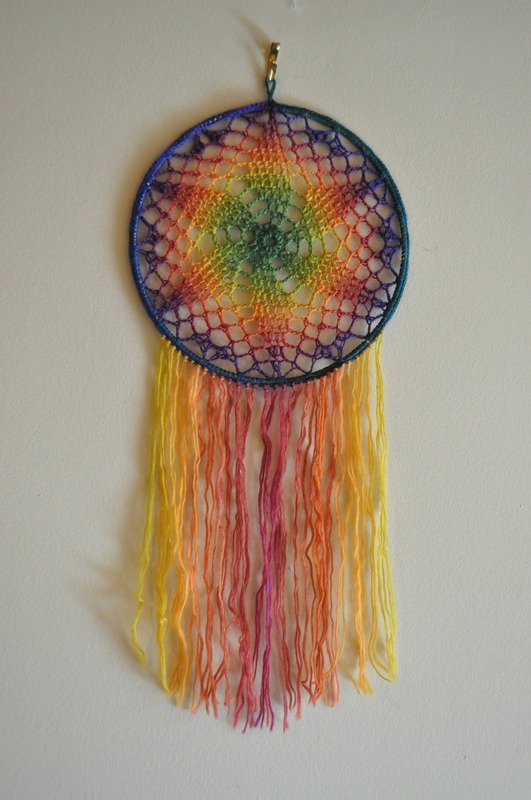 Please note that the above dreamcatcher is made with a self striping yarn -- there are no color changes in this project.